Last Saturday I went fishing. No big deal, indeed. 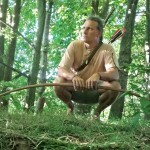 Many people fish, and hunter-gatherers have been doing it for thousands of years. 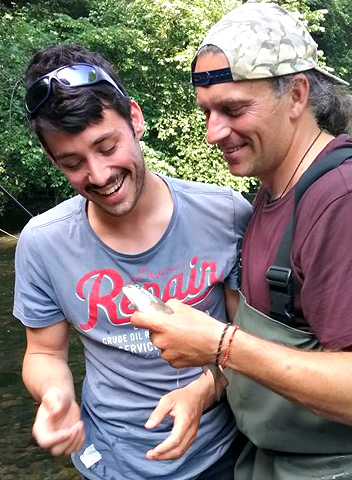 But I was fortunate to learn fly fishing from a pro, Clément Magos, who was willing to be my fishing coach. 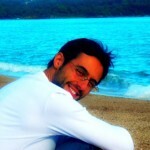 Clément has been fly fishing in many different countries such as Belgium, France, Croatia, Macedonia, Bosnia and Ireland. I had tried some fishing during canoeing and hiking trips here and there, but all I caught on those trips must have been due to sheer luck rather than fishing skills. 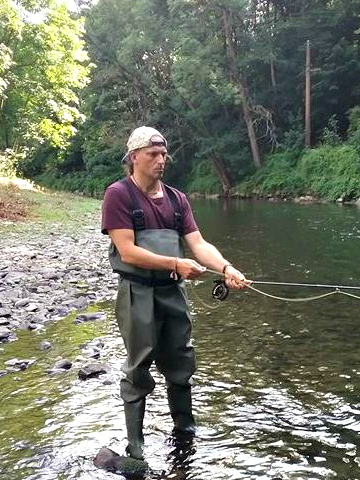 I had never taken the time to learn the necessary theoretical and practical basics of fishing. 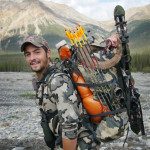 As a rewilding coach exploring the modern hunter-gatherer lifestyle, I try to take as many steps as possible on the path of gathering, fishing and hunting. I am currently mastering archery to be able to become a bowhunter in the near future, but I had not overlooked fishing. Here in Belgium, fishing is definitely easier to get started in than hunting. There’s less required training, paperwork etc. Considering that hunting is done with a lethal weapon, these safety classes are kind of logical. Early Saturday morning we went to Verviers (east of Belgium) to get the necessary permits, and then we headed off to Chaudfontaine to fish on a river called the Vesdre. This place is normally about an hour’s drive from where I live, but a tremendous traffic jam on the highway doubled our travel time. Remember, rewilding is a verb. 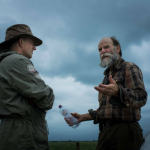 You have to find your own way to rewild and look for opportunities to reconnect with nature. It is always possible if you’re patient. 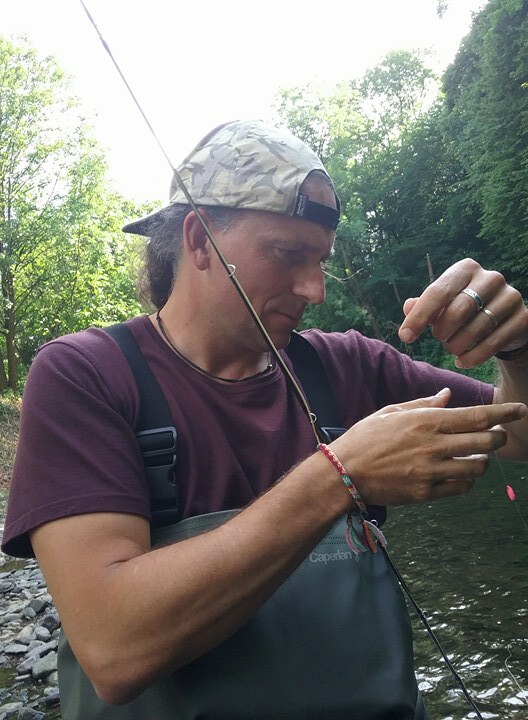 Clément who is not only a passionate fly fisher, but also a water and ecology specialist, assured me that the Vesdre had been managed well during the last decade. Once heavily polluted by industry, the many cleanup efforts of recent years have paid off. The water is clean and the fish population is healthy. Fly fishing is an angling method in which an artificial “fly” is used to catch fish. 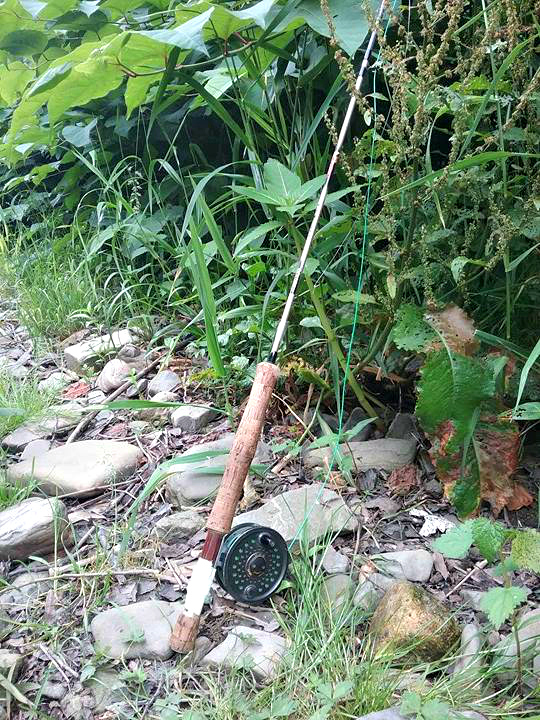 The fly is cast using a fly rod, reel, and specialized weighted line. Casting a nearly weightless fly or “lure” requires casting techniques significantly different from other forms of casting. 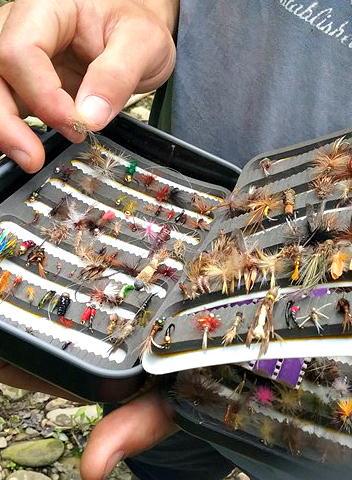 Fly fishermen use hand-tied flies that resemble natural invertebrates, baitfish, other food organisms, or “lures” to provoke the fish to strike (bite at the fly). Clément stayed by my side the whole day, teaching me how to cast, which fly to use, and what factors to take in consideration. And there are many factors: sun or clouds, outside temperature, water temperature, depth and current of the river. There are entire books written on this subject! The reward came late in the afternoon when I caught my first fish on a Belgian river. At our fishing spot the rule is to catch and release. This means you are not allowed to take your fish home. By law, you have to return it to the water immediately, so no fish for dinner that night. Fishing is mindfulness. Pretty soon after you make your first cast, you will understand that the effects of fishing on stress levels are like water on fire. You have to focus on what you are doing. Therefore, one way or another, you will calm down and get into that (fishing) zone. You need to read the river, the good spots to fish, the current, the environment, etc. That is the only way you can put together a strategy that works with nature instead of trying to dominate it. 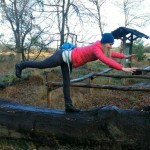 You also need to be flexible and adapt your strategy all the time as conditions change. Respect fish as animals and food. This is not just a game, but a means of putting high-quality protein on the table. Over a whole afternoon of focused fishing, we only caught two trout. I realized that actually catching a fish is not an easy walk in the park. Your relationship to the food on your table changes. The good thing is that fishing is mostly done in a natural environment, dealing with the natural elements. Serenity, peace and quiet are priceless commodities in this sometimes hectic world. I tried fly fishing, and I think I am hooked. I want more! I want to learn much more. 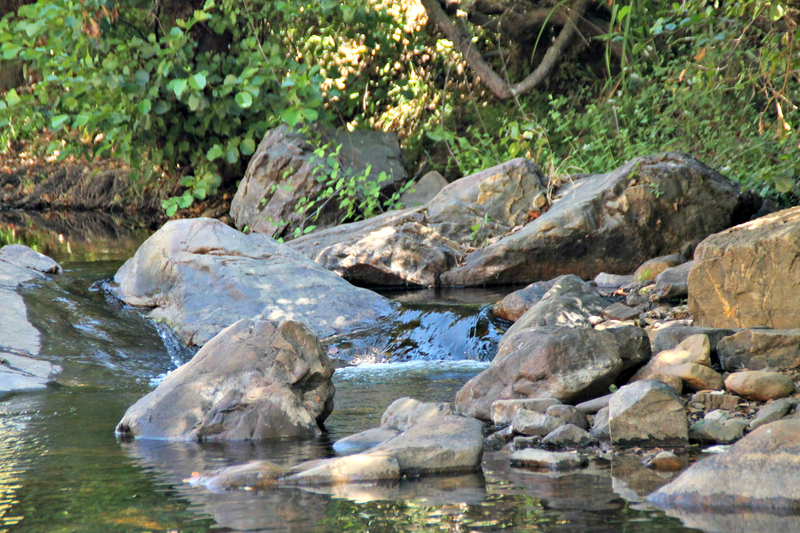 Who would not prefer a wild river and fish ethically caught by yourself over a farm-raised one? The fish meat is healthier and wild-caught fish are less prone to disease. Fishing is definitely part of my rewilding now! What about you? What are your fishing experiences?